The , but the Crewe-based automaker isn’t sending the current model into retirement just yet. 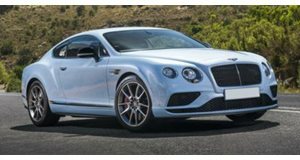 To celebrate its return to the Nurburgring 24-hours race for the third consecutive year, Bentley has lifted the wraps off a surprise new special edition model called the Continental 24. Based on the range-topping, , only 24 units will be produced as the name suggests, all of which will be sold exclusively in Europe.